Anyone else notice that posts are missing from your reader? I feel like I’m missing blogs I follow regularly– AND, because I follow my own blog, I’m noticing my own posts not show up. This worries me a bit, not so much because you might miss what I post, but because I feel like I’m missing what you post. Have you noticed the same thing? Any solutions? Or… Is it just me? Pretty much sums it up. Thanks Wrinkle in Time. 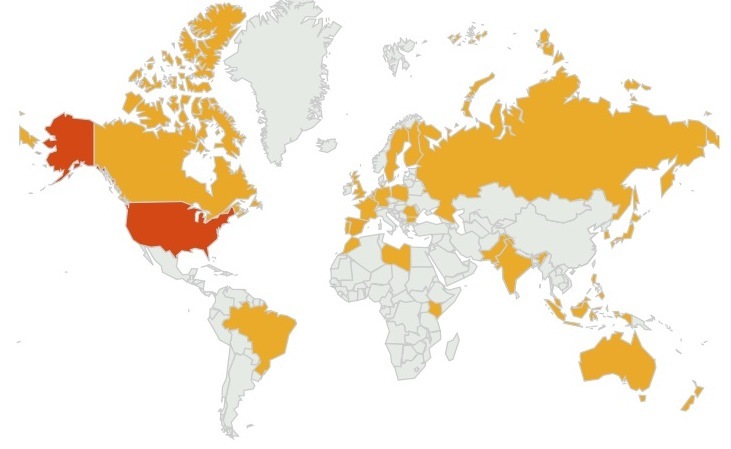 Blog stats are every nerdy international relations major’s dream. Yes, I am talking about myself. I won’t annoy you with breakdowns, but I will say this. I am in awe of the global community on WordPress. My words have gone more places than I have, and while this does make me a little jealous, I also think it is incredibly cool. Armchair traveling at its finest. Sure the good ol’ US of A is shaded darkest, but the fact that I get 10% of my traffic from other countries makes me geek out, in a good way. I know I shared the same young literary agent’s blog last week, but she has some more great advice today about making sure you’ve covered your bases with linking social media on your site. Amanda points out that everything should occur above the page break, which can be a little tricky if you’ve selected a WordPress template that will only allow widgets in the footer, (like me!). My solution was a quick fix– I just created some new pages (or tabs) for contact, follow, Expecting Happiness, and my own little favorite, be brave. Had to share because I know many of you are also aspiring writers trying to get your foot in the door with agents. Amanda’s Thursday blog updates are always great! Happy One Year Blog Birthday! Okay, so technically, I started my blog on 7/22/11, which means today is not my actual blog birthday. Still, I am one of those people that likes to give presents early and draws birthdays out into weeks, maybe even whole months, so why not celebrate a little ahead of schedule? Besides, I’ll be traveling 7/22, and I want this to give this post some thought. So, let’s take a little trip back in time. One year ago, this month, I decided to start a blog. Inspired by Gretchen Rubin’s the Happiness Project, I was determined to create a regular space for something in my life that I love, writing. I was also coming off my first juice fast, so the world looked especially magical through my newly cleansed, hippie eyes. Thus, I named my blog, “Today is the best day of my life,” my little pinch-me-it’s-real reminder for my first summer break in years. However, as with many good things, I eventually came to hate that name. Funny how sometimes we even manage to annoy ourselves with our own optimism. Still, the name stuck, because I did not know what else to call it and part of me wanted to hang on to that reminder to live in the moment. Then, two months ago, my cousin suggested I move my blog to WordPress, clean it up, prepare to put myself out there as an author. My chance for a new name, my own. I took his advice, and here I am. I have to say, there is a night and day difference between Blogger and WordPress. 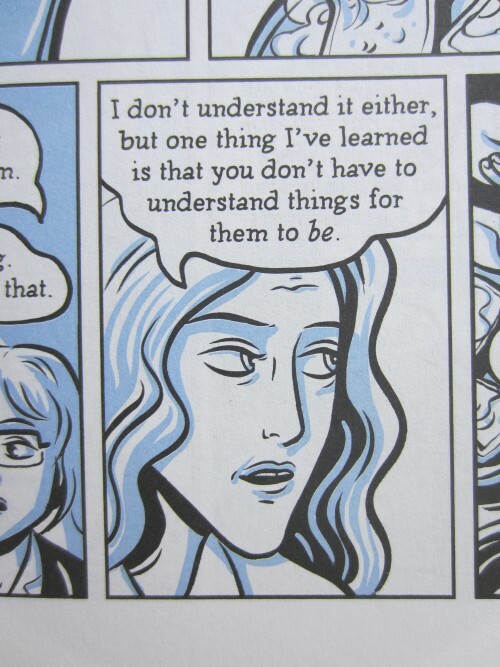 Exponentially more readers, yes, but also the unexpected enjoyment of deeper connections with others. Writers, teachers, travelers. Turns out that deciding to start a blog was less about putting myself out there on my own and more about finding a community, a place to belong, words and all. Here’s to many more years of blogging and writing happiness! 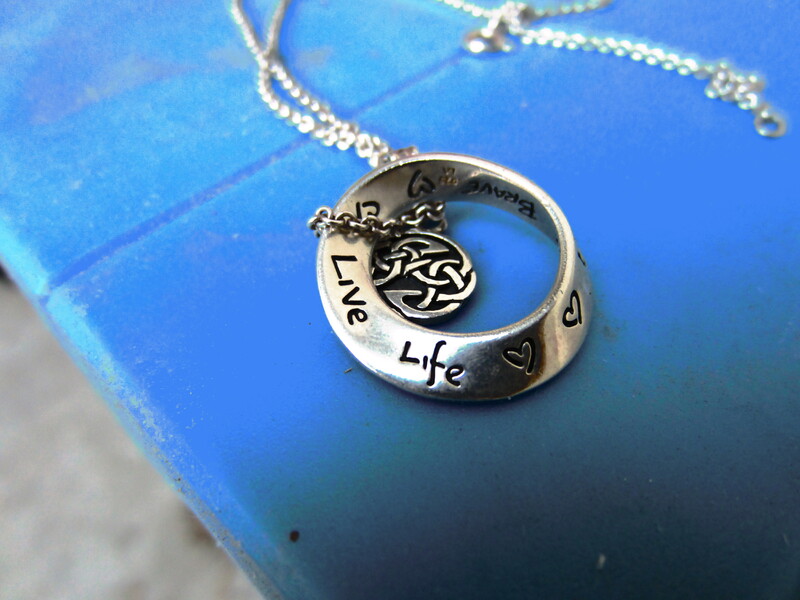 Live Life, Be Brave is still the guiding principal for my blog, 150 posts and one year later! Hurray for the Sac Girls’ Blogging Club! 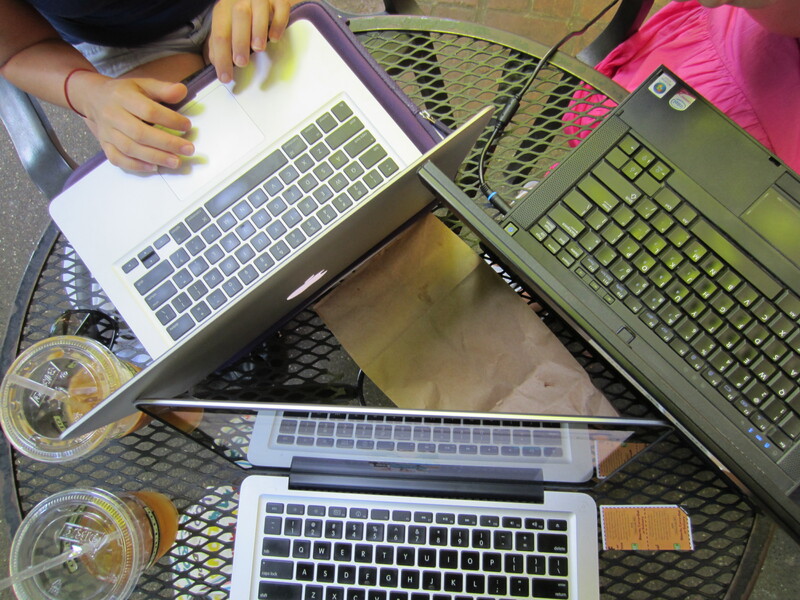 Today was the inaugural meeting of the Sac Girls’ Blogging Club. My apologies to any other club with the same name, we did not steal it from you and chances are we’d love to join forces with you if you really exist. When people in my real life discovered that I had a blog, I started to get a lot of questions about how things work. I also discovered the blogs of some other pretty cool people that I already knew beyond the computer screen. Brainstorming with a friend about blogs, the idea dawned on us– we need to start a nerdy girls’ blogging club! So, today, three of us met at Old Soul in Sac and talked WordPress vs. Blogger, WordPress navigation, site monetization, and guest blogging. One of us is now even a WordPress convert, but we’ll wait until her style changes are ready to unveil her new WordPress home. We also chatted about teaching, reading, summer plans, exactly the social vision that I imagined for such a club. Now, we have the goal to make our little club a weekly occurrence. Even if it only ends up happening a couple times a month, I’m excited. It’s nice to connect in real life with the faces behind the stories we read online. If you’re a chick in the Sacramento area and feel like joining us, let us know! Sorry men, it’s not that we don’t like you, it’s just that we feel safer connecting with women in person, (and, besides, you’re probably not interested in all of our chatter anyway! ).